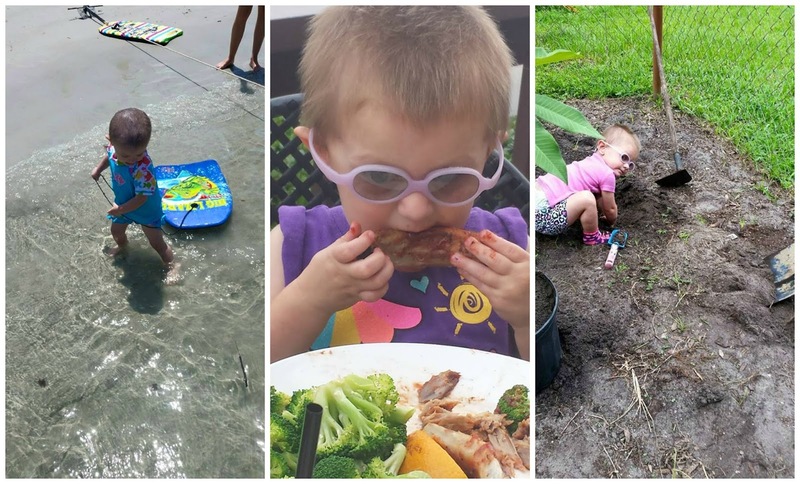 For the month of September, ASICS America is partnering with Cookies for Kids Cancer to support the fight against pediatric cancer and have some fun in the sun to brighten the lives of children and families affected. 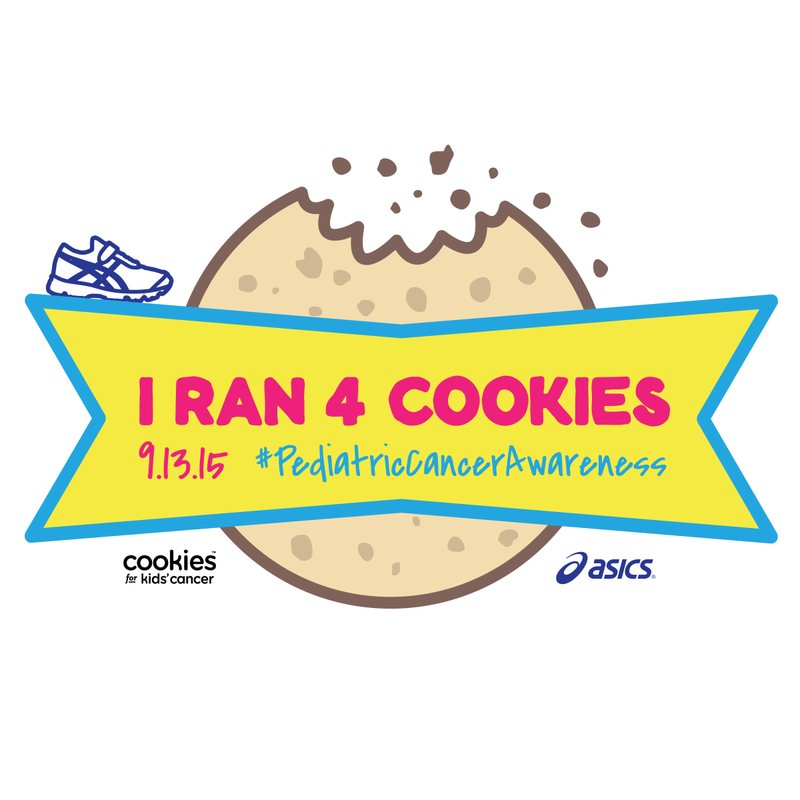 I urge you and your family to pledge to Run 4 Cookies on National Pediatric Cancer Awareness Day, September 13th. For every 100 uses of #Run4Cookies, ASICS will give a lucky winner a pair of children's and adult's shoes from the Accelerate Hope collection, benefiting Cookies for Kids Cancer. Pediatric Cancer Awareness is something that is near and dear to my heart. Two years ago, my Cousin and his wife got the news no parents ever want to hear - their 4 month old daughter Lana was diagnosed with retinoblastoma, a rare eye cancer. After months of chemo and radiation, it appeared that Lana was on the road to beating cancer. This was until a routine checkup MRI in November of 2014 which showed a lesion in her pituitary gland. 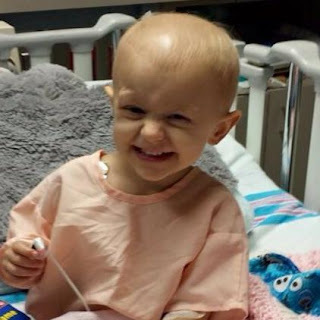 Lana had brain surgery to remove the tumor and a month later, they found out it was malignant. In December of 2014, Lana started 5 months of Chemo and had to be in the hospital for a 5 day duration during each treatment. During this time, she underwent Stem cell retrieval surgery. 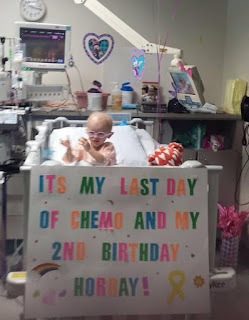 On Lana's second birthday, she had her last day of Chemo. In July, we found out Lana is cancer free and free to live her life like a 2 year old - swimming, going to the beach, playing in the sand, enjoying a non-restrictive diet (RIBS!) - things Lana never got to experience. When ASICS announced their Pediatric Cancer Awareness line, I instantly told my family and inquired how I can help spread the word. 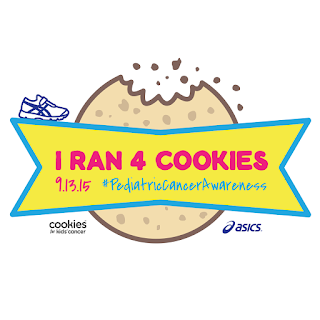 On September 13th, I will #run4cookies for Lana. Pledge with me to join the Run 4 Cookies Giveaway Movement. Show ASICS how you will Run 4 Cookies by snapping a photo or video of you and your family getting active. It could be a game of soccer, playing tag in the park, or even a game of hop scotch in the front yard, just make sure to use the hashtag #Run4Cookies. Post your photo on your Instagram, Twitter or Facebook and tell us more about your National Pediatric Cancer Awareness Day fun (don't forget to use #Run4Cookies). 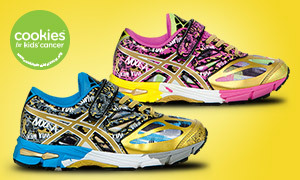 Follow ASICS America online - you just may see your photo on our Facebook, Twitter or Instagram posted on September 13! For every 100 uses of #Run4Cookies, ASICS will give a lucky winner a pair of children's and adult's shoes from the Accelerate Hope collection, benefiting Cookies for Kids Cancer. When you pledge, you are joining families in all 50 states that will Run 4 Cookies to celebrate the lives of children and create awareness around pediatric cancer. Show off how you Ran 4 Cookies! Once you get outside and exercise on September 13th, download the badge below and share with the world that you are raising awareness for National Pediatric Cancer Day!